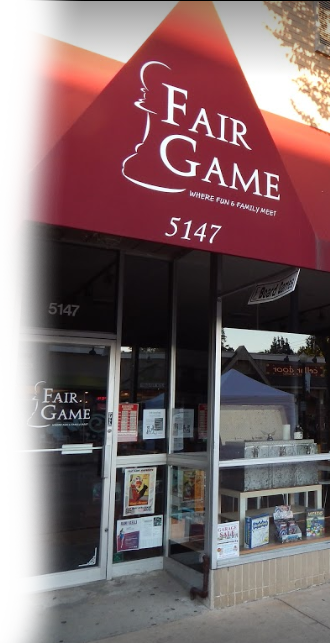 Host your next birthday party or private event at Fair Game! Our location in Downtown Downers Grove is perfect for a multitude of gaming purposes, and our trained staff is dedicated to making your event a one-of-a-kind experience. Variety. While we specialize in hosting children's birthday parties, we have also scheduled events such as classroom gatherings, private Dungeons and Dragons sessions, corporate team-building exercises, club meetings, baby showers and more! Flexibility. Instead of using a "cookie-cutter" approach, we custom tailor events to best serve your needs. We will work with you to plan the perfect gathering. Pricing. As each event is unique, pricing is variable. If you are interested in obtaining a quote or in learning more about hosting birthday parties or other events at Fair Game, please reach out to us with the details of your event.